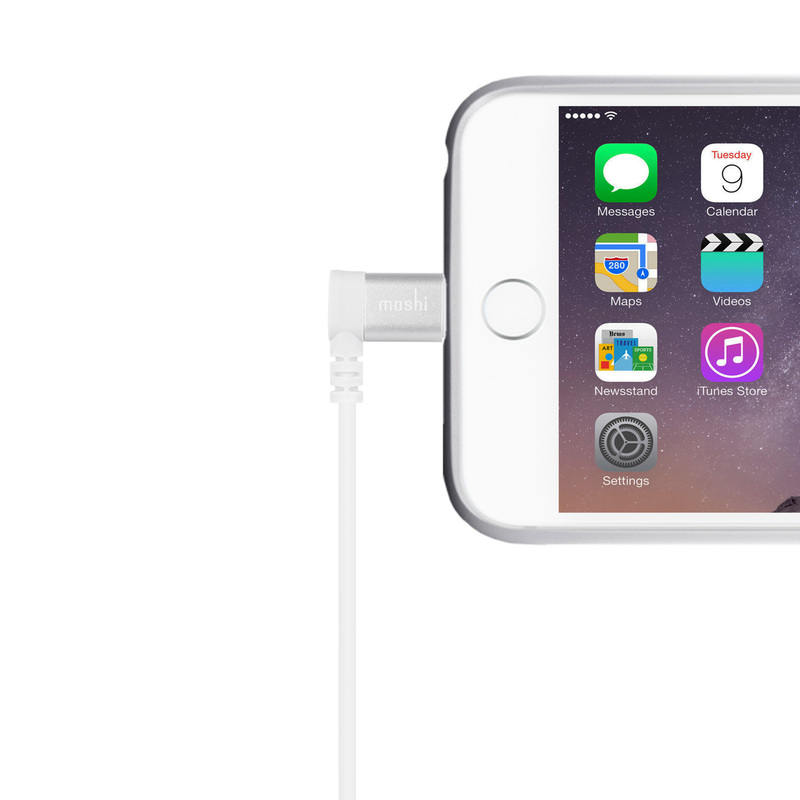 Charge quickly and ergonomically with this 90-degree Lightning to USB Cable. 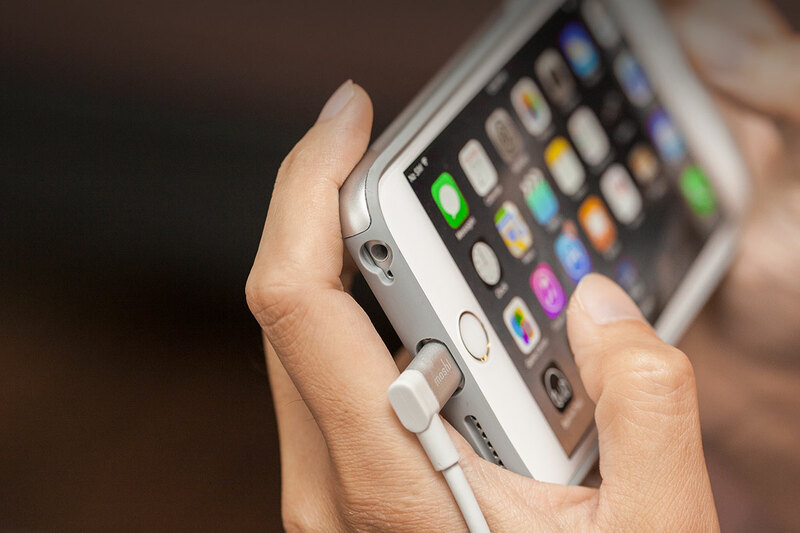 Apple MFI-certified with anodized aluminum housings for durability. 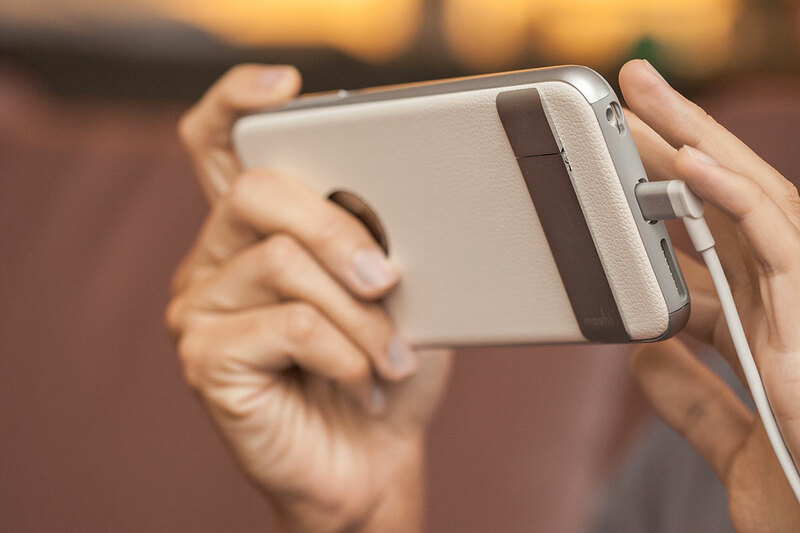 Avoid awkward bends by keeping your cable snug to your device. Ideal for hand-held gaming, typing, or charging in the car. Certified and 100% compatible with the latest iOS devices. 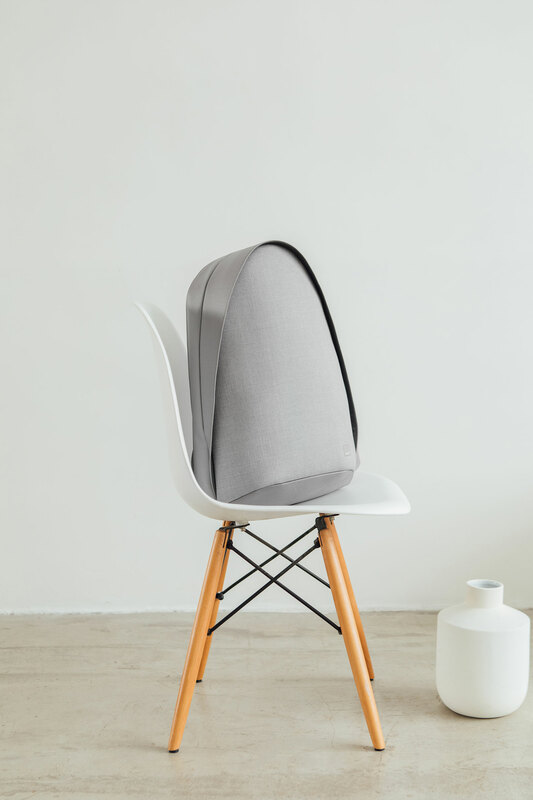 Encased in aluminum for long-term durability. 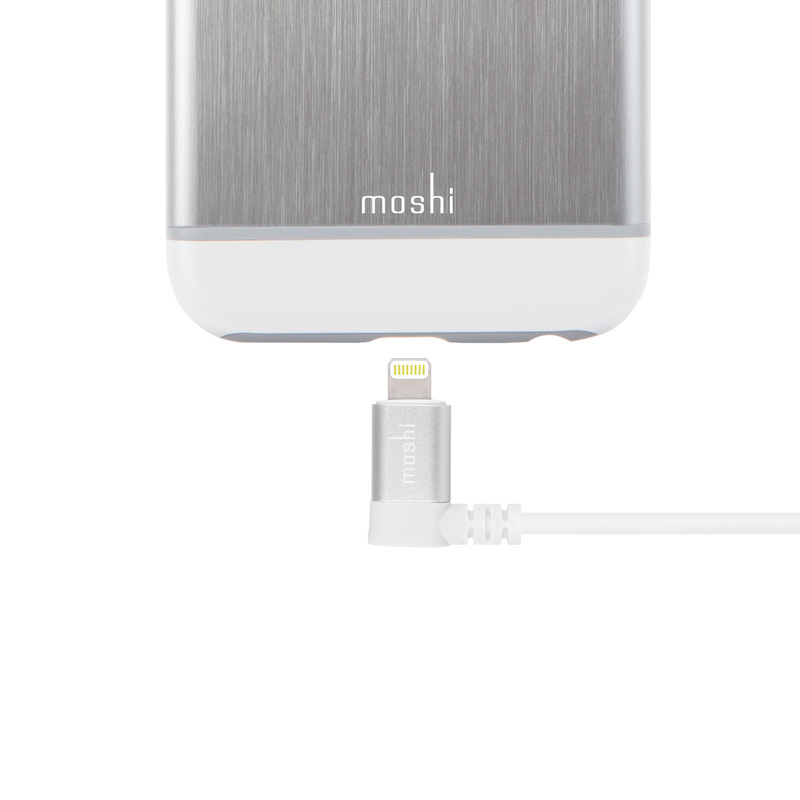 Moshi's 90-degree Lightning to USB cable features a unique right-angle design that gives you an ergonomic way to use your device as it charges, while also reducing cable stress. 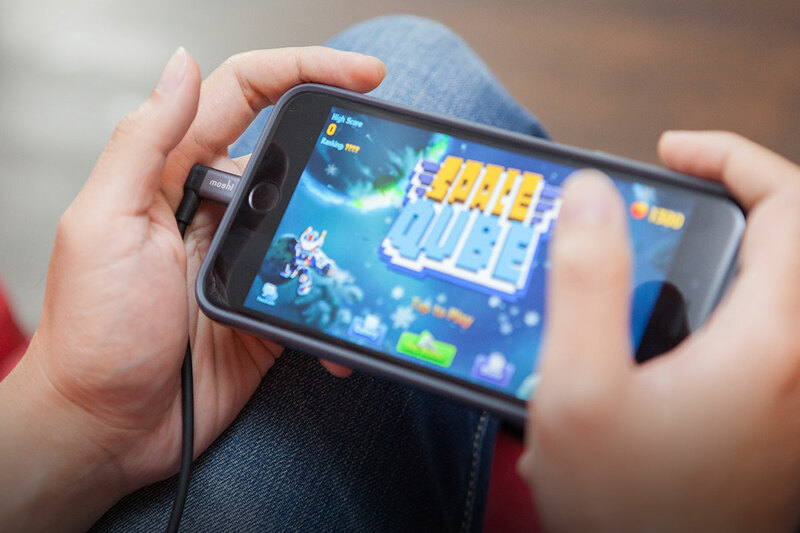 Its 90-degree connector is useful when you want to hold your device comfortably during charging, like when you're messaging friends or playing games. 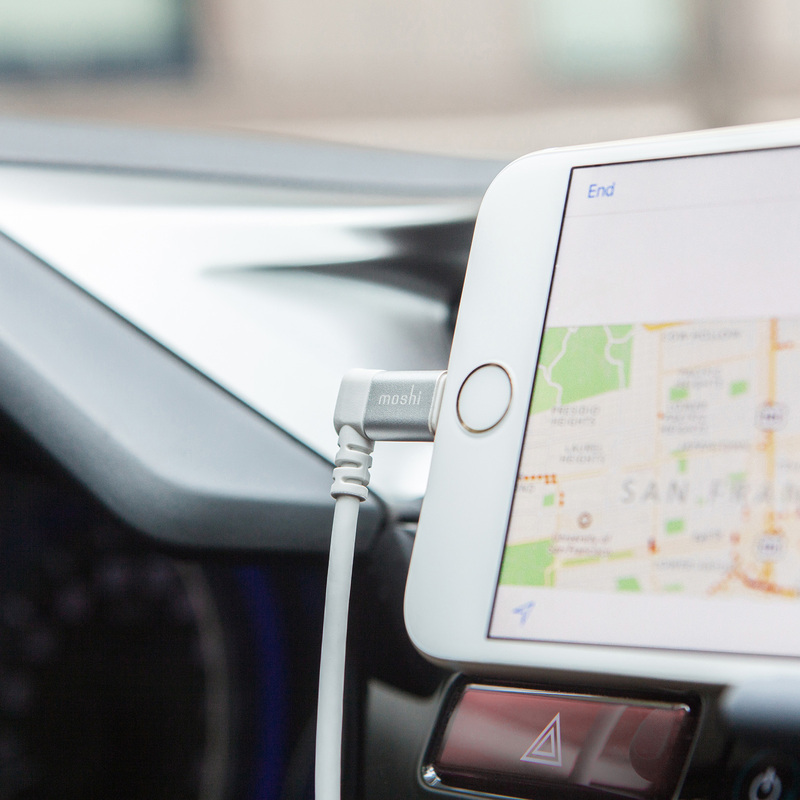 It's also ideal for in-car use as the 90-degree connector wraps the cable closer to your device. This helps your cable stay neatly organized while also preventing undue stress on the cable/connector, a frequent occurrence when charging in the car. 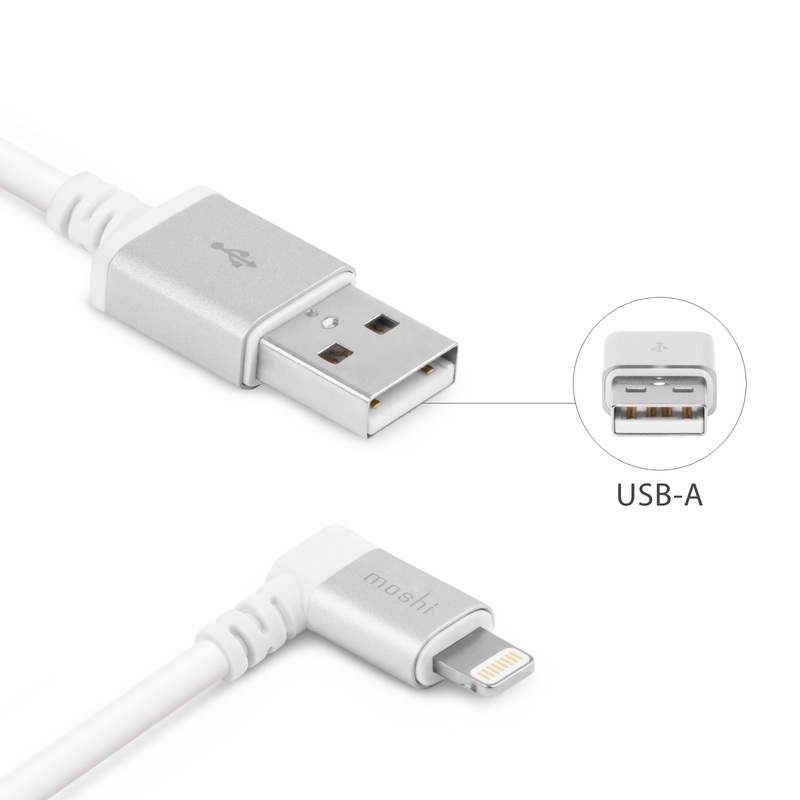 Both ends of this certified Lightning cable are encased in aluminum to minimize electromagnetic interference and ensure durability. 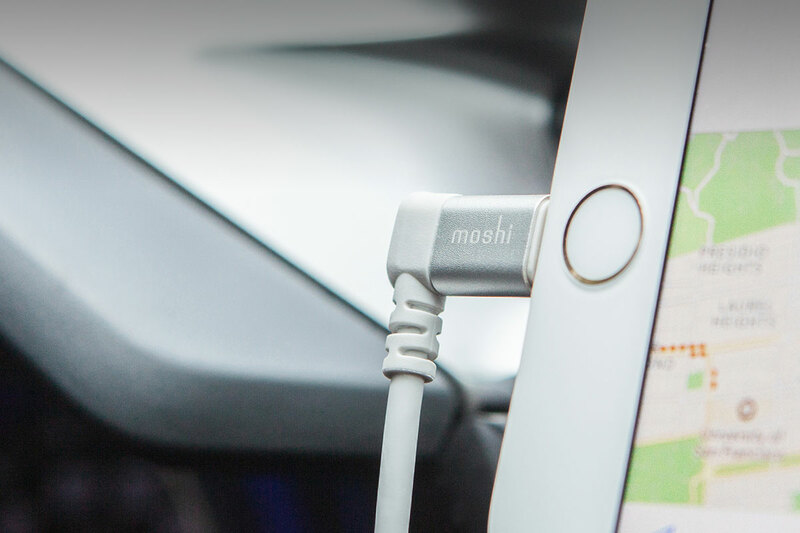 Use this cable with Moshi's Rewind 2 wall charger or Car Charger Duo for convenient and comfortable charging at home or in the car. 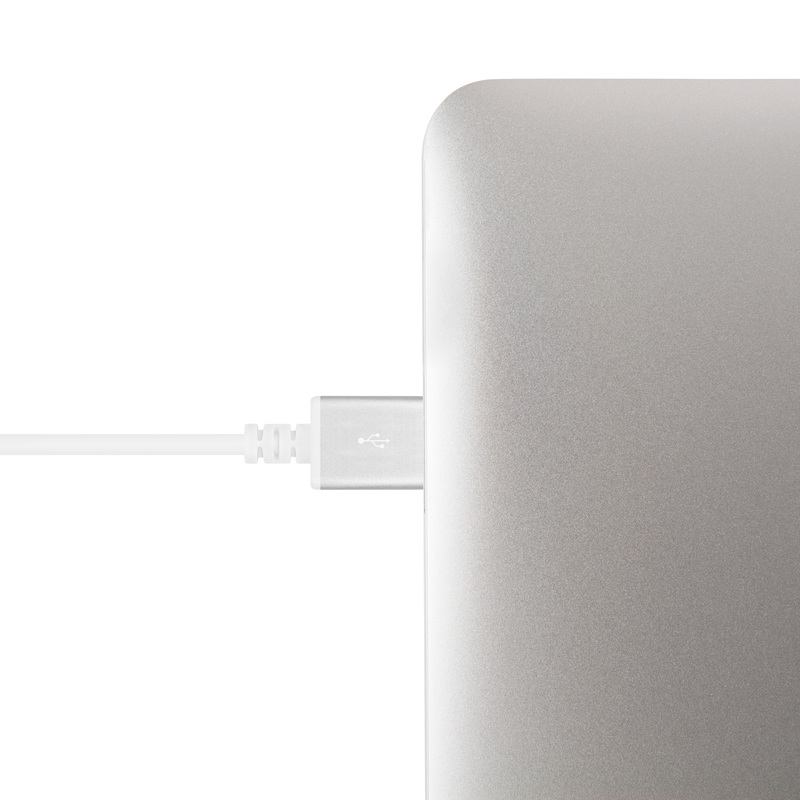 90-degree connector hugs cable snugly to your device. Ideal for gaming, typing, and charging in the car.